In astronomy, a binary star is a star system that consists of two stars orbiting around their common center of mass. In hip-hop, a binary star is a special pairing between MCs One Be Lo (FKA OneManArmy) and Senim Silla. The two MCs from Pontiac, Michigan met each other in 1993, and what soon became a unique and undeniable bond, soon transitioned into quite the backstory. Caught robbing a local pizza restaurant in ‘94, the two were sent to separate prisons for three to twenty years. In 1998, when One Be Lo was transferred to the same prison as Senim Silla (Hiawatha Correctional Facility), the two got their minds together and melded ideas to form Binary Star once they got out. Their masterpiece is Masters of the Universe, a re-worked/remixed version of their debut Waterworld. Binary Star’s biggest fans will notice the similarities, but with Masters of the Universe we get to fully see the wide-spectrum that these two artists present. Other cuts like “Conquistadors,” “Slang Blade” and “Binary Shuffle” help to reinforce the battle rap mentality, as both MCs slash through any competition they face. But on tracks like “Evolution of Man” and “I Know Why the Caged Bird Sings” the two delve into more serious subject matter. Masters of the Universe is many things. For one, it’s an aggressive mix of raw underground hip-hop and self-conscious lyricism. One Be Lo and Senim Silla display ferocity whether they’re slamming “wack MCs” or getting serious with stories about prison or love. The production holds its own as well, supplying the necessary backdrop for talented lyricists to perform their craft without sounding too lo-fi. 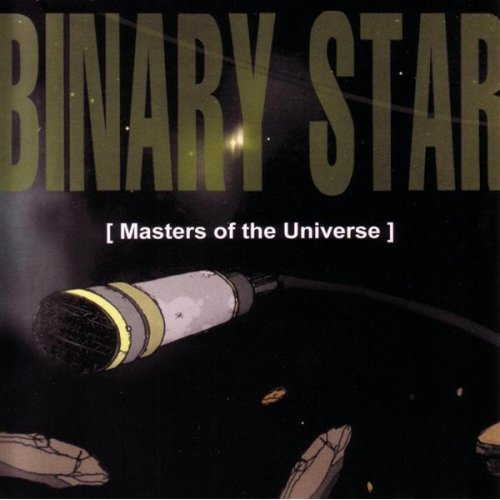 Not many can hold their own lyrically against Binary Star, and Masters of the Universe is the biggest example of that.